Kevin Owens appears on screen first, berating Sami Zayn for only giving Owens’ son twenty (Canadian) dollars for his birthday. Kevin chucks the card, keeps the money, and alludes that Zayn will be seriously hurt if he interferes in Owens’ bout with WWE Champion Dean Ambrose tonight. A limousine drives up and out walks both Dana Brooke and Women’s Champion Charlotte. Dana says she is ready for Sasha Banks tonight, and that “The Boss” is not going to beat her twice. Maryse is applying makeup, and her real-life husband, Intercontinental Champion, The Miz, tells us that he is going to show that Darren Young is not “great again” later tonight on MizTV. WWE Champion Dean Ambrose is backstage and is pleased to be wrestling Kevin Owens, even if it is for the last time on Smackdown! because of next week’s Draft. The regular Smackdown! video plays, the pyro explodes in the arena, and both Mauro Ranallo and Jerry “The King” Lawler greet us! Dana goes for a clothesline but Sasha ducks and rolls up for a quick-one! Banks backslides for another quick pin, but Brooke gets out and goes to the floor. She knees Sasha as “The Boss” went outside. Back in the ring, Dana punches away on Sasha and chokes her in the corner with her foot. She snapmares Banks and clamps on a chin-stretch. Brooke tries her finisher, but Sasha reverses into a sunset-flip for two! Banks gains momentum with a clothesline, and lands on the apron and then climbs the turnbuckle to soar off with a crossbody for a near-fall! They trade O’Connor roll-ups, and then Charlotte hops the apron to distract. Banks knocks her down, and Dana rolls-up from behind, but Sasha reverses that into the Bank Statement, making Brooke give-up! After replays of both Stephanie and Shane McMahon being named Commissioners of Raw and Smackdown!, respectively, Shane is shown talking with WWE Champion Dean Ambrose backstage. Up next, Dolph Ziggler will face United States Champion Rusev! Dolph tries to take down Rusev by his legs and then gets a standing-headlock on him, but Rusev kicks him in the corner. Ziggler tries again with a splash-in-the-corner, but Rusev catches him off the ropes and slams him down! Rusev is still in control, tossing Dolph off of a couple of Fameasser attempts and powerbombs him for two! Rusev goes for a big kick, but Ziggler ducks and leaps on Rusev’s back in a sleeper position! The U.S. Champ tosses him off, but Dolph drives him down with a leaping-DDT and then plants him with a Fameasser; Ziggler still only gets two! “The Bulgarian Brute” hits back with a knee and big-kick, but is turned to the stage by Zack Ryder, who walks out. Dolph tries to capitalize but Rusev throws him over the ropes. He chucks Dolph into Zack, and goes after Ryder in the ring, but Dolph rolls-up Rusev for the 1 – 2 – 3! Post-match, Ryder and Ziggler celebrate on the stage as Rusev goes ballistic ringside! Later tonight, The Club – A.J. 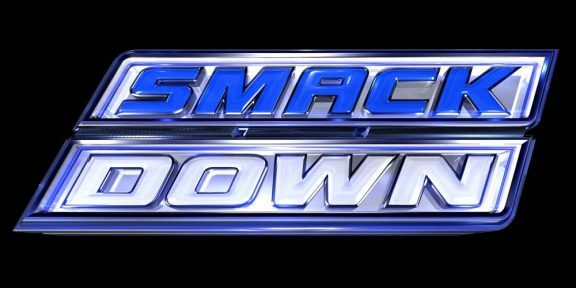 Styles and Karl Anderson – will wrestle Enzo and Big Cass! Up next, a review of The Wyatt’s and New Day’s battle on The Wyatt’s turf! The footage from Raw of The Wyatt’s and The New Day’s fight in The Compound is shown. The Club make their entrance for Tag-Team action, next! Prior to the bout, Enzo accuses The Club of “looking pretty ‘salty,’” and of course, being “S-A-W-F-T!” Enzo and A.J. start out with a lockup that goes into the corner. A.J. punches, but is flung from the opposite one with a headscissors! Styles counters with a jawbreaker, but Amore counters with a dropkick and tags in Cass! Big is all over Anderson and Styles, hitting a big elbow-drop on Karl and backdropping A.J. He launches Enzo from the ring to all members of The Club on the floor! Cass is dominating Anderson in his corner, and then switches with Enzo, who runs with a spinning-clothesline! The referee is distracted by Anderson and Cass (inadvertently), and A.J. hits Amore from the apron. Styles and Karl take over, and A.J. whips Amore into the corner and gives him a big backbreaker. Enzo tries to battle back, but Styles kicks him quickly a few times, and then slams his leg on the mat. A.J. is focussed on Amore’s left leg, and rams his head into the top turnbuckle. Karl is back in, and also drops his knee onto Enzo’s left one. Enzo rolls to the floor, and manages to slam Anderson into the barrier. He trips up A.J. on the apron too, but can’t get the tag in the ring as Karl just stops him. He just about makes it again but Styles drags him back; Amore counters with a Tornado-DDT and leaps, but Luke pulls Cass from the apron! He and Karl double-team, and then Anderson jawbreaks Enzo with the ropes. A.J. rolls Enzo into the Calf-Crusher, forcing Amore to tap! Brock Lesnar’s MMA Fight/Press-Conference, and announcement that he will wrestle Randy Orton at Summerslam is replayed. Tyler carries Kalisto into the corner and punches and whips him into the opposite, but Kalisto leap-frogs and twists off the top rope. Fandango distracts Kalisto, allowing Breeze to trip him up and superkick him for three consecutive near-falls. Tyler picks up Kalisto, but The Lucha Dragon reverses into an inside-cradle for one. Breeze takes over again, punching and posing for boos. Kalisto counters with a back flip, kick, and springboard twisting-elbow! He kicks Breeze hard, and goes for another springboard move but Breeze moves. He rolls up for two, but is caught and planted with the Solida-Del-Sol! 1 – 2 – 3! Becky Lynch is also talking with Shane McMahon, this time in his office. Intercontinental Champion The Miz and Maryse are in the ring. He introduces Darren Young and Bob Backlund. First, Miz reminds us of what Bob Backlund accomplished in his WWE career with a highlight montage; the fans give their respect afterward. Miz follows with Darren’s career retrospective, which is just different-coloured lines on the screen. Miz says he tried to find some, but none appeared. Young asserts that he will become Intercontinental Champion at Battleground and Bob backs him up, saying that Miz is not a “role model,” but Darren is. Miz and Maryse make fun of Backlund, but Darren defends him (well too, with his mike skills). They get in each other’s face, and Miz backs away; he and Maryse walk away. A doctor is checking on Sasha Banks when Dana and Women’s Champion Charlotte walk in; Banks assumes that she is wrestling for the Women’s Championship at Battleground, but Charlotte corrects her, saying that her and Dana are actually in a Tag Match with Sasha and her partner, to be revealed. (Note: Seth Rollins makes a surprise entrance and sits at the commentary table!) Kevin hammers away right away, but Dean hits back with fast punches. He rams Owens’ head off the announce table, but Rollins also gets in and hits Ambrose, causing the dq. 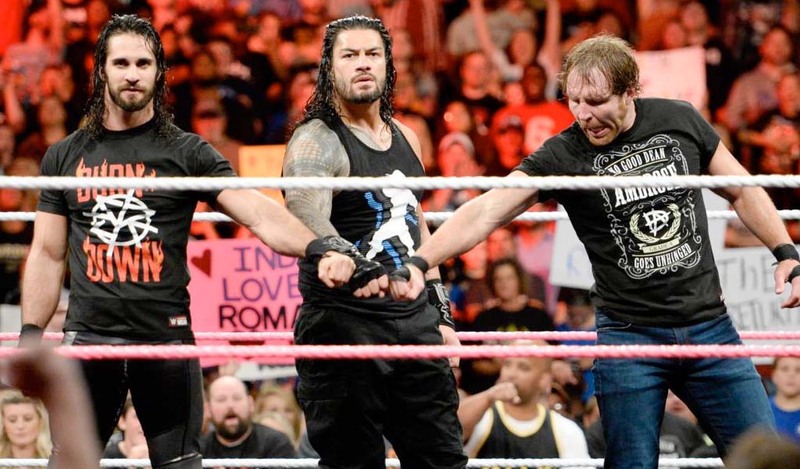 Post-match, Sami Zayn makes the rescue, and he and Ambrose face-off with Seth and Kevin! Dean and Kevin are beginning, with Ambrose kicking Owens numerous times in the corner. Ambrose goes after Rollins again, but Owens takes advantage, chucking Dean into the barricade and stomping repeatedly. Kevin controls and switches with Rollins. “The Architect” scoop-slams Dean out of the corner and gives him a kneedrop. He wrenches Ambrose’s head and gives him a modified-backbreaker. Owens is back in and stomps Dean, then taunts Sami. He goes for a running-senton-splash, but Ambrose rolls. Kevin tags in Seth, and Rollins misses a corner splash, allowing Dean to get the hot-tag! Sami is in and is all over both Rollins and Owens; he and Ambrose plancha over the top rope onto Kevin and Seth! Zayn front-dropkicks Owens back to the floor, but Rollins brings him down with Slingblade! Owens and Rollins are back in control. Kevin has Sami locked in a side-headlock and elbows him down, then drops on him with a senton-splash! Rollins is in, hitting Zayn in the corners a few times. Sami turns around another into the Michinoku-Driver, and hot-tags the WWE Champion! Dean runs all over Kevin, and knocks Rollins from the apron! He 9-Punches him in the corner, and slams him to the canvas. The WWE Champion follows to the top turnbuckle and dives with an elbow-drop! 1 – 2 – Owens raises his shoulder! Dean forearms Kevin in the corner, but Seth blind-tags Kevin! Kevin and Sami go at it, and Rollins enziguris both Zayn and Ambrose, but “The Lunatic Fringe” clotheslines Rollins back! Seth tries The Pedigree, but Dean backdrops and switches with Sami, who flies off the top turnbuckle with a crossbody for two! Seth and Zayn trade moves, and Sami Exploder-Suplexes Rollins into the corner. Dean dives through the ropes onto Owens, but is thrown into the steel steps! In the ring, Sami gives Rollins a Tornado-DDT, and goes for the Helluva Kick, but Kevin moved Seth and Zayn hit the corner! Seth capitalizes with The Pedigree and covers to receive the victory! Post-match, Kevin tries to powerbomb Sami on the outside, but Dean stops him. Ambrose eyes Rollins, and goes for him, and Rollins pounces on top with punches. Dean runs and punches back, and tries his Dirty Deeds DDT, but Seth escapes to the ramp. Dean glares at both Rollins and Owens to close the show. Loving Dana/Charlotte/Sasha’s, (I suspect that Sasha’s partner will be either Paige or Bayley, revealed next week or at Battleground), The Club/Cena/Enzo/Cass, and The New Day/Wyatt’s feuds. 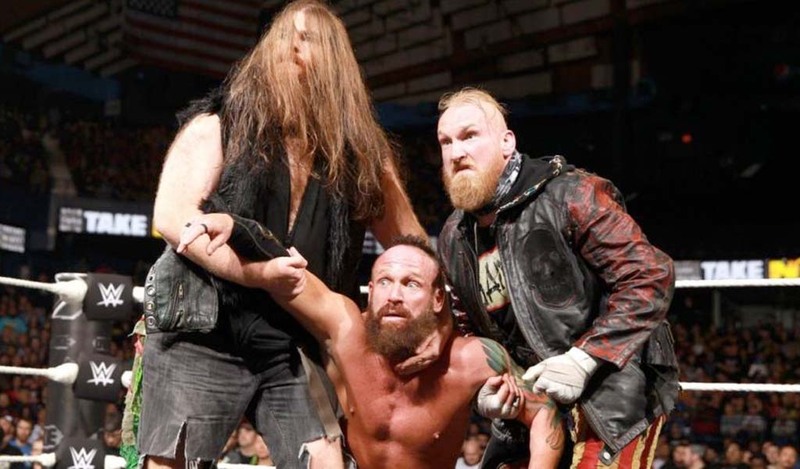 The video with Wyatts/New Day was well-done and felt like a real fight; I almost thought, and maybe that would’ve been even better, that Bray was going to take Xavier away and “convert” him. Looking forward to their next confrontation! Dean as WWE Champion has been really great; Rollins has also been pretty-superb in carrying the feud without Roman (although, Monday’s promo was a little cheesy), and these guys should continue through the summer. Liked the idea of the Battle Royale for the IC Championship contendership; when I saw Darren in there though, I knew he was going to win, and after Smackdown’s promo, he deserves it. He is really good on the mike and I hope he’s improved in the ring too. Backlund should stay with him and not do a potentially-predictable heel-turn. Where was Becky Lynch and Natalya’s rivalry; we only saw Becky chatting with Shane, and that wasn’t even audible! Draft: I like and dislike the idea; it should produce longer feuds between Pay-Per-Views and more time for newer/mid-carders, but I fear it is going to end up in a trade-war again and wrestlers will be on both shows anyway by the end of the summer; as well, it could split up some great teams, so anyone that’s a Tag-Team/Faction now (Breezango, Enzo/Cass, The Club, Wyatts, etc…) should be drafted as a group. All Champions should be the only exception to traveling between both shows – especially the Tag, Women’s, and WWE Champs; this puts more emphasis and importance on the championships as they would THE one to fight for. (instead of having to Heavyweight Champions, the I.C. and U.S. exclusive, for example.) I hope the draft turns out much better and that my ideas above are what they are already thinking, particularly no back-and-forth and Champs on both shows. Lastly, thanks to NASCAR commentator and former driver Darrell Waltrip for my Smackdown! title this week! Until Raw, have a wonderful weekend, and Be Excellent Wrestling-Online Fans!